Ready For A Smile Makeover With Veneers? Most people want veneers to treat aesthetic concerns like small chips, cracks, gaps, stains, or misshapen teeth. One treatment, like cosmetic bonding or tooth whitening, might be good if you have one concern, but porcelain veneers will treat several problems at the same time with great results. Veneers may be a great choice if you have dark or internal stains that can't be lightened, even with laser teeth whitening. You might have researched a similar cosmetic procedure, for example bonding and contouring. Cosmetic bonding can be performed to correct most of the same cosmetic problems as veneers; however, the composite resin used to perform the bonding chips easier, is less resistant to stains, and the treatment will need to be re-done every few years to maintain your results. Veneers used to make teeth look too perfect, which made them look fake. Veneers today are custom designed and made to be natural-looking so others may not know exactly what you did, but they will notice you look great. Although custom porcelain veneers can improve your smile dramatically, you can still keep a little personality. For instance, if the gap in your front teeth is your defining trait, but you would like it to be less prominent, your veneers will be designed to match this goal. A hereditary condition, microdontia makes the teeth are underdeveloped and usually have gaps. Microdontia can make your smile look like you still have your baby teeth. Even if gaps and small teeth don't impact your dental health, microdontia can make you look less mature. Veneers are usually a good choice if you have microdontia. Custom veneers can create a beautiful smile that is proportionate to your face. We have helped many patients in Thornton, CO who have microdontia feel more confident in their smile with veneers. The best candidates for veneers will have healthy teeth and gums. Problems like decay, cavities, plaque buildup, and gum disease need to be treated before you can receive veneers. Since your teeth will be directly bonded to the veneers, it's important for both the application and long-term success that you start with optimal oral health. Masking problems like decay or a gum infection with veneers can make it worse. This is why your dentist should examine your teeth, gums, and jaw to treat problems before starting the veneers process. Often caused by stress, grinding your teeth or clenching your jaw (bruxism) can cause significant damage to your oral health. Bruxism can cause tooth fractures, chips, and the dental misalignment. This isn't just an issue for your teeth, it will affect the porcelain veneers you just invested in. If your mouth shows signs of bruxism (either teeth grinding or jaw clenching), your dentist may suggest a custom night guard to save your veneers and teeth. Once you start wearing your night guard, you may find that you sleep better and wake more rested! Cosmetic veneers from our office in Thornton, CO are crafted from strong, high-quality porcelain; however, they still require proper care. This means no biting your fingernails or chewing on ice. Additionally, Also, you shouldn't cut tape or tear open packages with your teeth since this may shift your veneers. 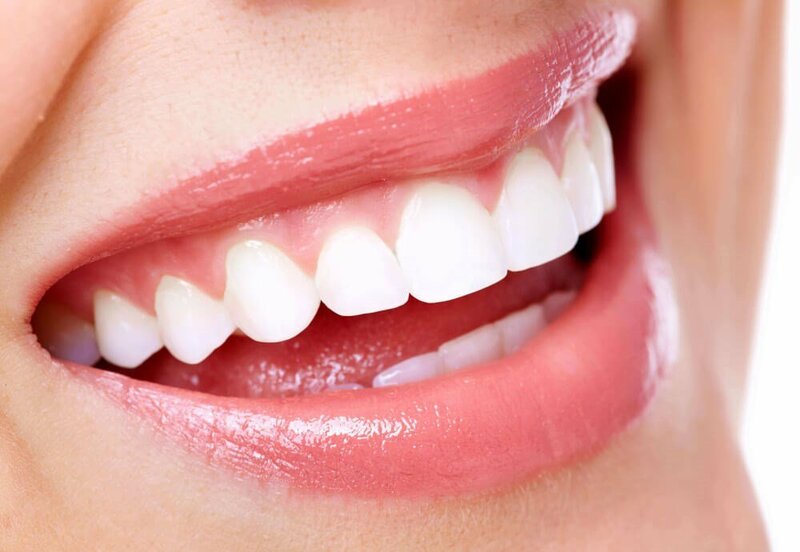 Although veneers resist stains better than your natural enamel, you should still have a good oral hygiene routine. You should floss and brush, at least twice a day, to maintain the appearance of your veneers and health of your mouth. You should also visit your dentist for professional cleanings and exams. When you are here, we can demonstrate proper cleaning techniques and recommend products. If you have any problems, you should get your veneers examined by your dentist. At your consultation, your dentist will review your cosmetic procedure choices, including dental veneers. Based on your concerns and wants, you might benefit from teeth whitening, bonding and contouring, or a restoration. Your dentist will ensure you are clear about all of your options so you can make the right choice for your oral health and appearance. We suggest you come to your appointment with an open mind and questions. DentalWorks in Thornton, CO offers many cosmetic procedures, which can be used to develop your best plan for a smile makeover. Once you have thought about the above points and you would like to get an in-person consultation, contact DentalWorks in Thornton, CO. We will ask about your goals before you decide if veneers or a different cosmetic procedure is best for you. Once you have decided to get veneers, your dentist will develop a plan to craft and set your porcelain veneers. Compared to older veneers that needed the dentist to shave a large amount of enamel from the front of the teeth, our veneers are no- or minimal-prep so they're faster to get!